New chairs for the office will not only enhance the aesthetics of its interior design, but can also help make employees more comfortable and productive. Old or poorly designed chairs can become extremely uncomfortable and even detrimental to an individual’s health. 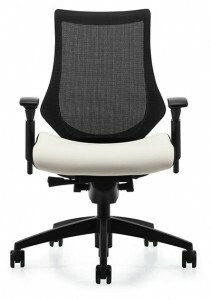 The huge selection of office chairs we offer at NorthPoint Office Furniture includes some of the most technologically advanced ergonomic designs, configured to improve the posture and well-being of employees. By visiting our showroom in Roswell, you can see full displays of the office furniture we offer and be able to visualize how our chairs would look for your office in Alpharetta, Woodstock, Sandy Springs, and areas throughout Atlanta, GA. So, whether you’re looking for replacement chairs for your current workplace or you’ve recently opened a new office and want the best possible chairs for your employees, NorthPoint Office Furniture has you covered. While you’re at NorthPoint, looking for chairs for your office, you’ll also notice our comprehensive inventory of furniture can the fill the needs of any office. We provide bookshelves, workstations, credenzas, and hutches, as well as office table options like conference tables, executive tables, and more. For more information or to schedule a visit to our spacious showroom in Roswell, contact NorthPoint Office Furniture today. We proudly serve residents and business owners in Alpharetta, Woodstock, Sandy Springs, and the surrounding Atlanta, GA, communities.